7-10 working days lead time. 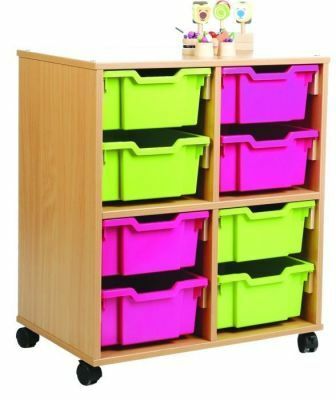 Mobile education storage units are available with 32 different coloured tray options and 5 translucent colours. Stackable. 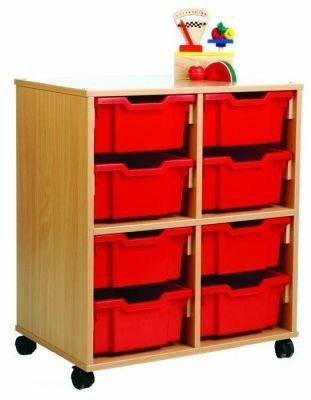 Manufactured from 18mm thick MFC, Beech finish and mounted on castors for easy mobility on carpeted areas. 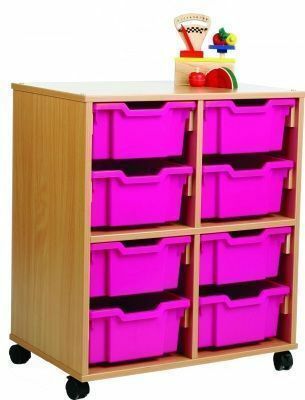 Free delivery mainland UK.